In the course of your lifetime, you’ve headed belowground for a variety of reasons: to play ping-pong in your friend’s basement. To dig up your scrapbook in your parents’ storage room. To save those Chilean miners. And now... for 32 draft lines of hard-to-find beer. Presenting The Tap Room at the Black Squirrel, open now to give you yet another reason to hit up Adams Morgan’s most beer-y destination. You’ve gotten used to the vibe upstairs here—psychedelic album covers and lots of Belgian ales. 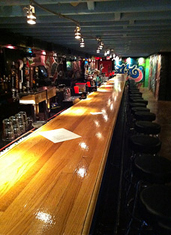 But below it’s a bit different—like the kind of beer bar that Tony Hawk might have conceived. To get in: you’ll walk down a couple steps from street level and through the separate entrance, past a tiny stage that will soon sport local musicians, and into a narrow, low-ceilinged room decorated in graffiti art from top to bottom. 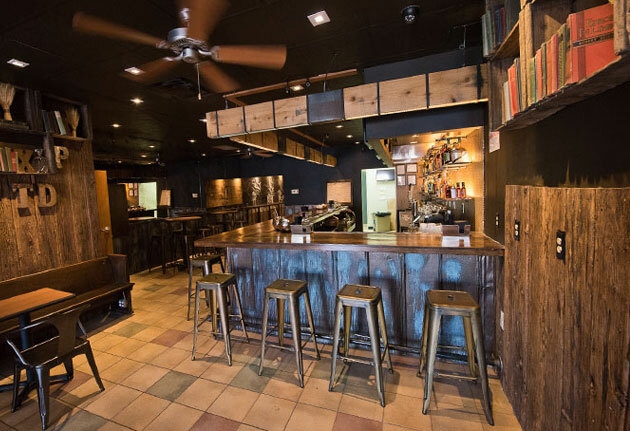 Of course, should your particular saison last long enough, your attention may turn to the shot glasses arrayed on skateboards behind the bar—all the better for you to order a Pickleback, the house specialty consisting of a shot of whiskey backed with a shot of pickle brine.